Getting to the point, the weather means that soup and all manner of slow cooked delights are SO last month. 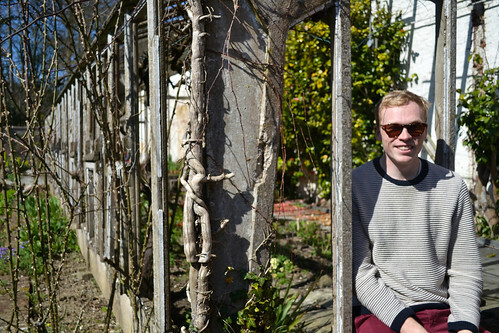 April, it seems, is the new July and while the weather may regress once more, for now life is all salads, sandals and sunshine. 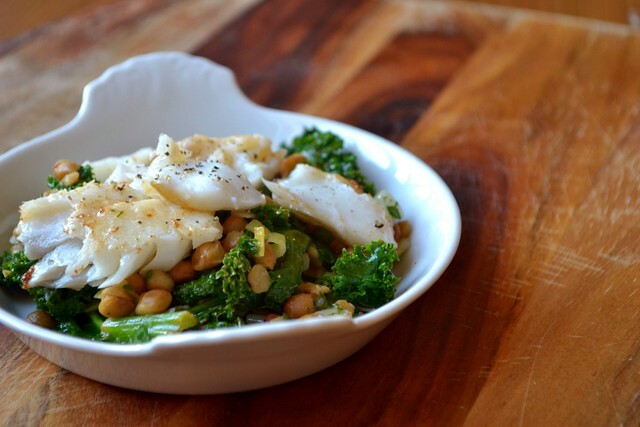 Thankfully, there’s plenty of outstanding ingredients coming into season in Britain, including some truly fantastic kale and ‘spring run’ cod. You might disagree with my selection of fish for this salad. Cod, you might argue, doesn’t offer the value for money of its white fish brethren. And you’d be right to do so. Cod isn’t the best selection for a blog that prides itself for offering the very best in frugality. I do, however, have two excellent excuses. Ahem (here goes)! 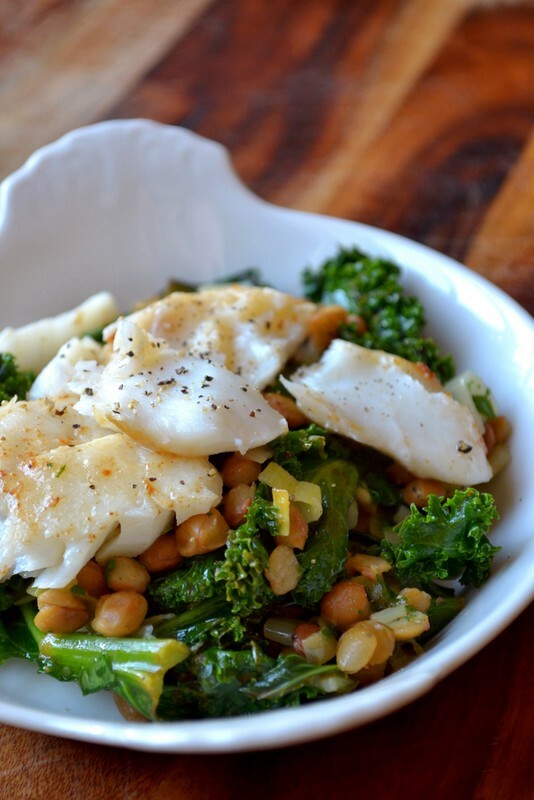 First off, good-quality cod is super simple to find just about anywhere in Britain. 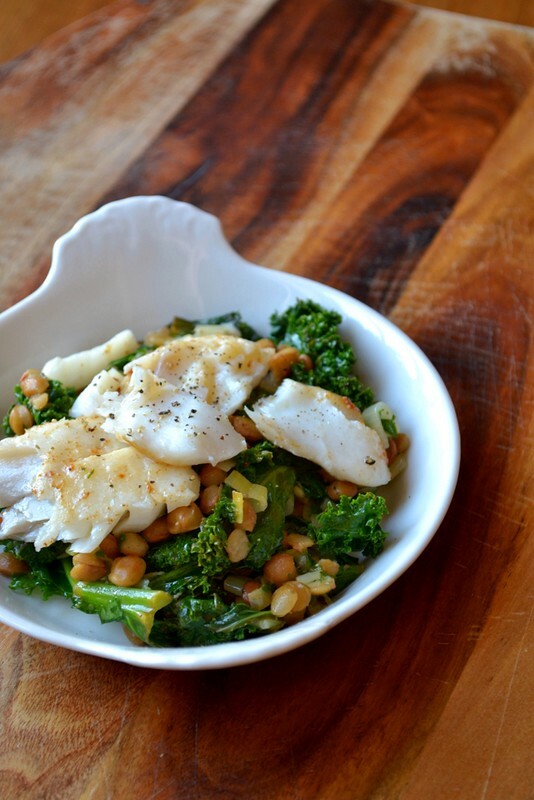 And secondly, the use of cod in this salad isn’t overdone. You’ll soon find, if you haven’t already, that fish cooked properly and placed at the very centre of a dish goes an awfully long way. Having said all that, and made my excuses, please do feel free to replace my fatuous fish selection with pollack, coley or whiting. Melt the butter in a small frying pan over a medium heat. 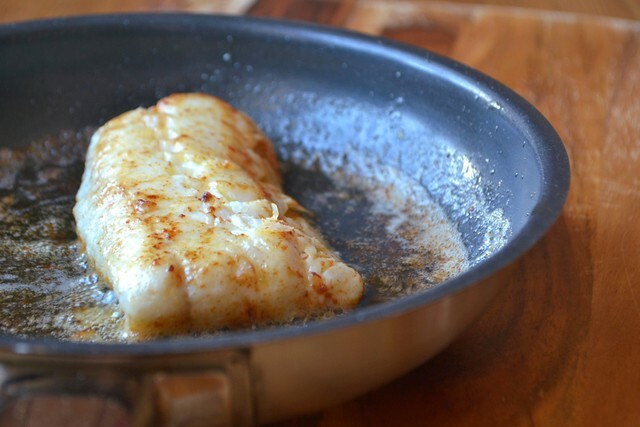 Place the cod fillet and cook gently all the way through. The butter will brown naturally. Meanwhile, saute the leek in a larger pan with the olive oil. Once softened, add the kale along with the salt and lemon juice. Pop a lid on the kale pan and warm through gently until just cooked. Add the lentils and parsley, replace on the heat. 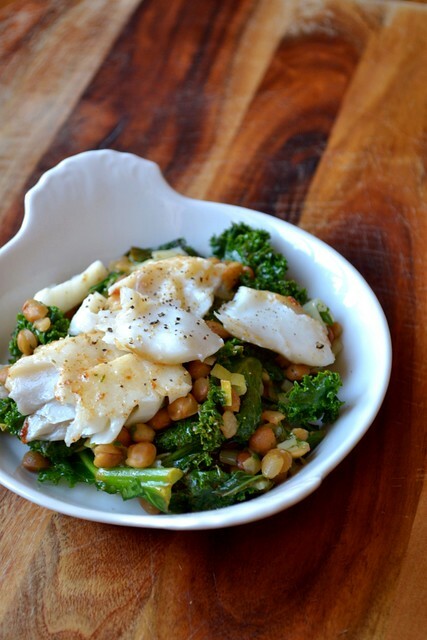 Flake the cod and add to the kale, along with the browned butter. Bring everything together carefully and serve with bread and cracked black pepper. Cost: Cod isn’t cheap, but I’ve not used much here. Besides any additional cost brought about as a result of my choice of fish has been offset by a carefully made selection of British-grown ingredients. As usual, I can’t advocate the use of quality British fare enough – the flavour alone should be enough to convert. Lovely to see a post again. Glad you think so – I’ll try and keep it going! Nice fish. Where have you been?! Hello again! Good to see you still around. I’ve been busy with work, cycling and buying a house. And maybe there’s been an element of lazy there too. Glad to see another post – it’s been a while, hope everything is going OK for you!? Thanks! Yes, everything is well. I’ve just been busy with work and cycling and house purchasing. I still won’t be posting every week, but it was about time! Doesn’t it just? Finding a bit more time, so taking advantage! Great to see a new recipe! Welcome back. I’ve missed you excellent cooking. Nick, this is lovely. I buy carefully sourced fish, meat and poultry that costs more per pound. But we eat less of it, so my meat budget is not any higher than anyone else’s. And our health is probably better because of it. Thank you! It’s all about spending cleverly. This recipe is new to me. It looks great. Wonderful recipe. But I’m the one who love to eat a lot of combination of flavor. If I want to add more thing, How could I XD?